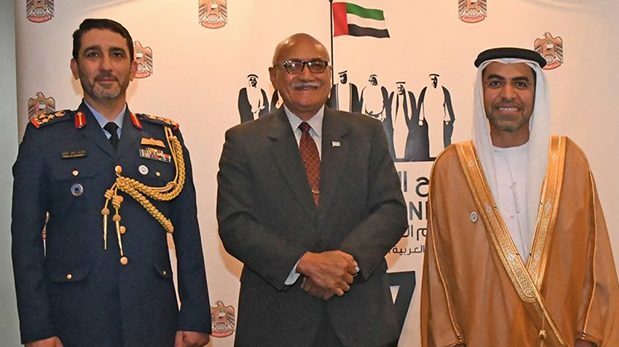 The enhanced bilateral relations between the United Arab Emirates and Fiji was commended at the UAE’s 47th National Day celebrations in Suva. The event was attended by President Major General (Ret’d) Jioji Konusi Konrote, senior government officials, cabinet ministers, representatives of business agencies and members of the diplomatic corp.
A major highlight of the UAE National Day celebrations was the UAE’s broad collaboration globally and its reach out to Pacific Island nations. Speaking at the event, UAE Non-Resident Ambassador accredited to Fiji, Saleh Ahmed Alsuwaidi commended the bilateral cooperation between Fiji and UAE which has created the platform for socioeconomic development opportunities. He emphasized on UAE’s on-going commitment to promote multiculturalism, peace and unity among nations is one of the core principles of establishing diplomacy regionally and internationally. 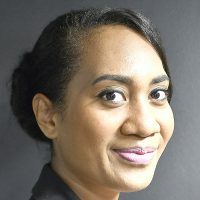 Chief of Protocol at the Fiji’s Ministry of Foreign Affairs, Jonetani Tagivetaua expressed gratitude and appreciation to UAE for its commitment to Fiji’s national development. He elaborated that through 8 years of Fiji’s and UAE’s diplomatic relations, Fiji has progressively undertaken the development programs through the finalisation of a number of MOU’s/MOAs. The recent one being the MOU with the UAE Red Crescent to support the Government’s Adopt a School Program signed last month.